One of the many things I love about Fall is lots of squash. 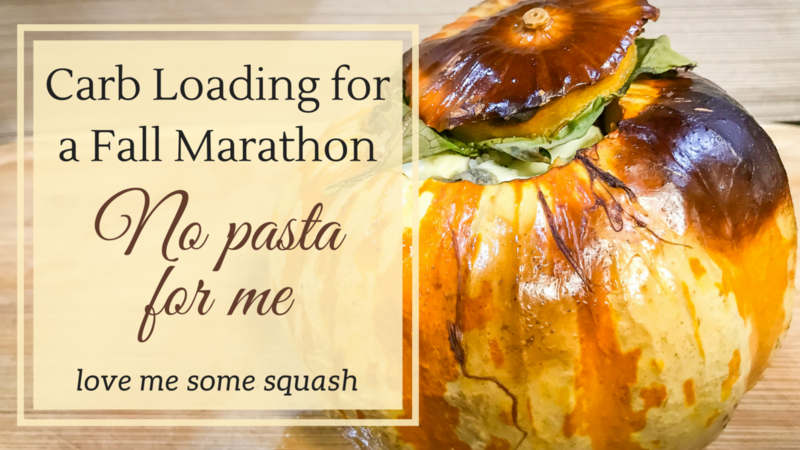 I love to bake pumpkins and butternut and really, almost any kind of squash. It might be nature's way of making sure I get my starches. This is a good thing before an endurance event when you want your glycogen stores nicely stocked. When I first entered the world of races I kept hearing about a pasta dinner the night before. I was convinced I was doomed because I don't care for it. 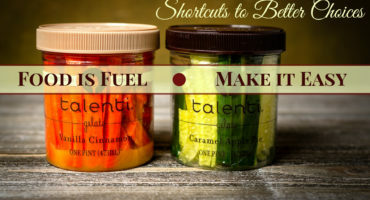 There are more ways than spaghetti to load up your energy stores and if you're not used to heavy or starchy food in training, the alternatives may very well be an better fit for you. 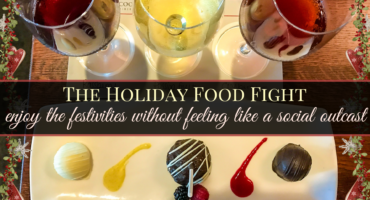 Finding time to follow a recipe or try something new is something of a luxury in a busy life. I think most of us share this challenge. 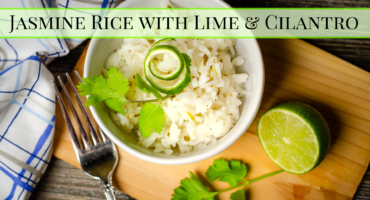 This is an easy meal and although there is no meat in mine, you could add anything you like into the filling. 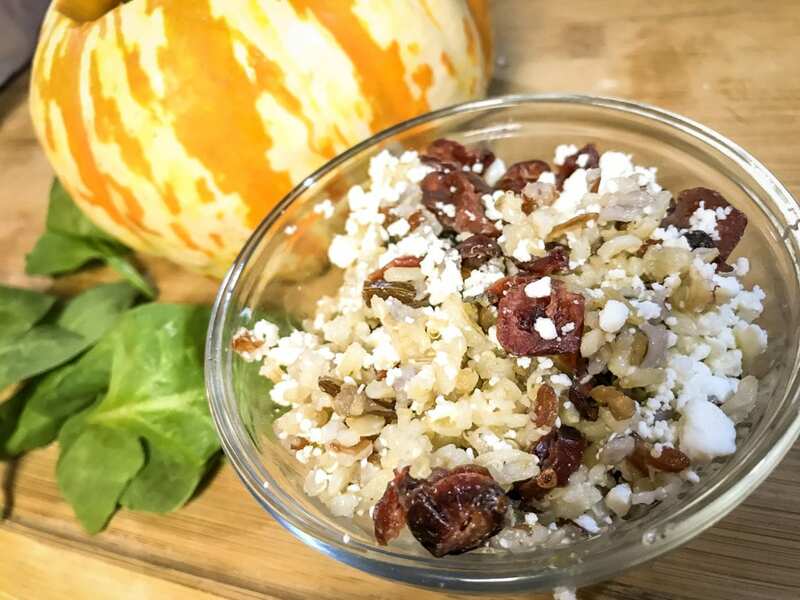 I had some leftover brown rice, wild rice and quinoa from the day before and I added chopped spinach, crumbled feta cheese and some dried cranberries. A sprinkle of salt and pepper and a pinch of chili seeds was all I put in to season the rice mix. If I have time, some sauteed peppers and onions, tofu, tempeh or walnuts also work well in the filling. You can even go sweet spicy and use cinnamon, nutmeg, apples and walnuts if you're so inclined. If it's autumn where you live right now, chances are that squash is cheap and pretty tasty because it's in season. I buy the smaller pumpkins because they cook quicker and tend not to be as stringy in the flesh. Rinse off the shell to remove any residue of yucky hands from strangers who have handled the squash. 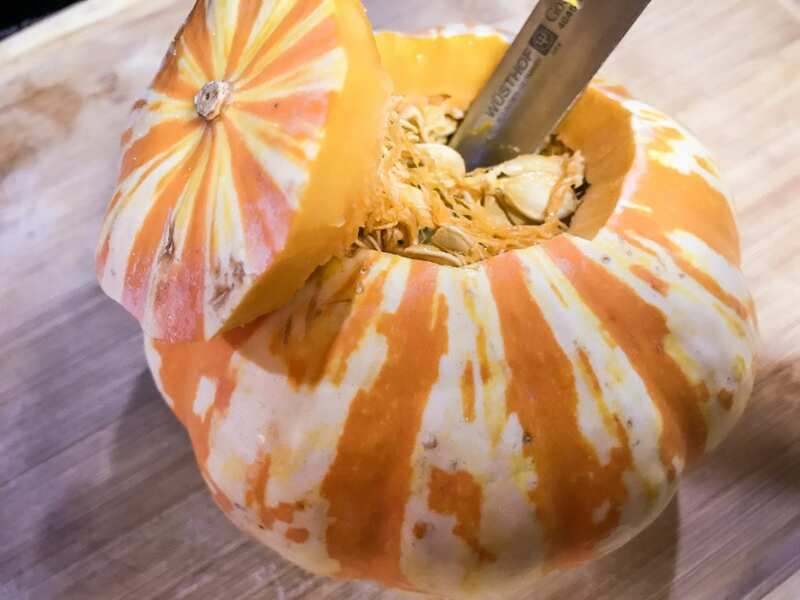 With a sharp knife, carve a circle at the top by cutting straight down through the flesh until you feel the knife hit the hollow with the seeds. Using a spoon, scoop out the seeds and discard. Season the cavity with salt and pepper and any other spice of your choice. You can brush it lightly with some olive or coconut oil if you like. I used to do this, but never noticed a difference if I forgot so I don't bother now. I'm lazy like that. Spoon the rice mix into the cavity,m packing it down lightly so it holds together. 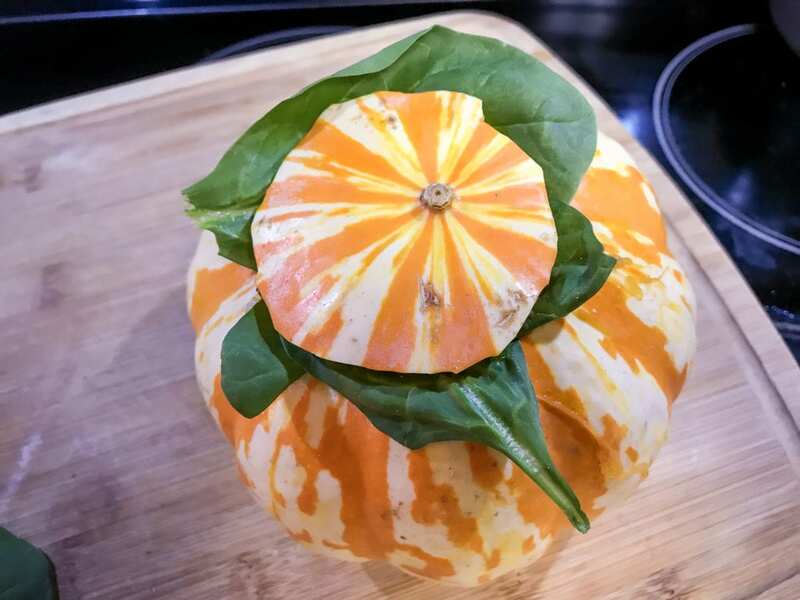 I had some leftover spinach leaves so I covered the filled pumpkin with the extra greens before placing the ‘lid' back onto it to close it. Total cooking time depends on the size of the squash you are using. I bake mine at 350 degrees in the center of the oven on a baking sheet. 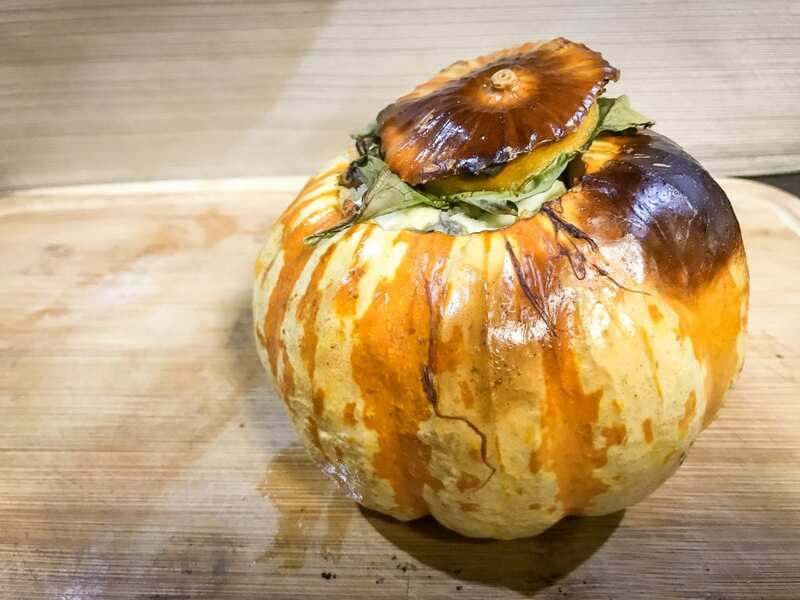 Even with the smaller squash, they always take at least 1 1/2 to 2 hours before they are completely cooked. The only exception is using the mini pumpkins which will be done in about an hour. That's a great option if everyone in the family enjoys it and you want to make one for each person. They look really cool when you have a row of them lined up on a serving platter. I don't slice it once cooked. 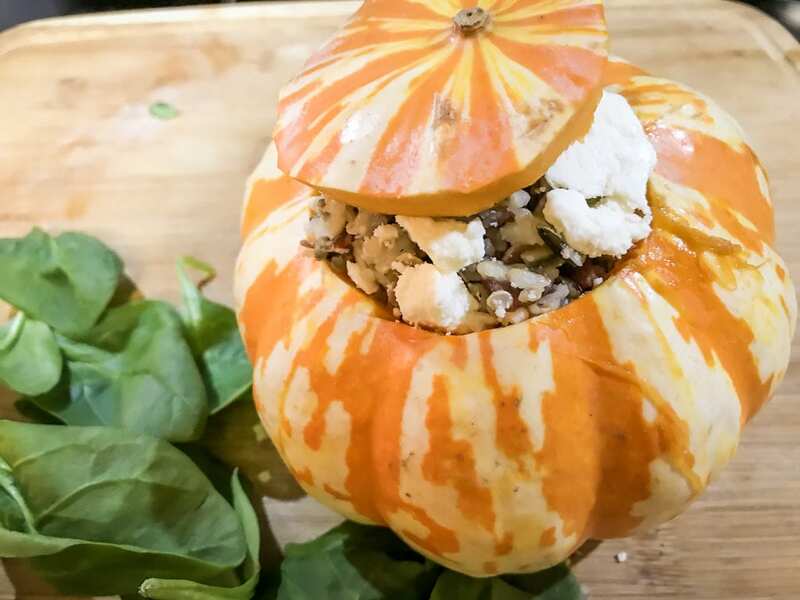 The shell serves as a serving bowl and we simply scoop out what we want, making sure we scratch the inner surface to get a good helping of pumpkin flesh on our plates. If you try this with a different filling, leave a comment and tell me about your favorites. Yum, Looks awesome. Need to give this a try. Thanks for sharing. . I love the Fall season and one of the things that makes it even better is that it satisfies me addiction for squash 🙂 It’s so versatile too. You can make is sweet or salty and it’s still just as good – just different.